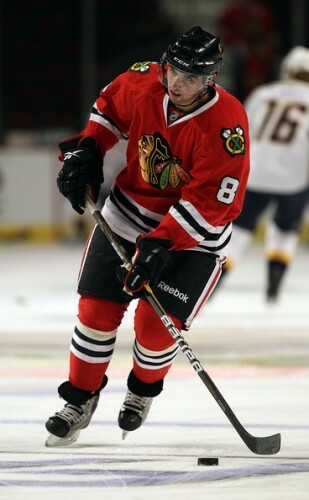 On Sunday morning, the Blackhawks announced that they had demoted top prospect Nick Leddy to Rockford of the AHL. As I wrote when the move was announced, it doesn’t make much sense within the context of the current Blackhawks roster. Many analysts have already talked about Leddy receiving an opportunity at the NHL level largely because of Brian Campbell’s injury during training camp, and he certainly looked like a 19-year-old at times in the first six games of the season. But for a team that stresses puck possession as much as the Chicago Blackhawks do, if the group of players filling the roster on the blue line is a head scratcher, it might give you the same hairline as Scotty Bowman. Duncan Keith is, in every way, an elite puck-moving defenseman. But after him, the team really doesn’t have a reliable option to handle the puck out of the Hawks’ end. Brent Seabrook is a physical player who can handle the puck, but is usually on the ice with Keith, which takes away from him being an option to carry the puck. Niklas Hjalmarsson has been very average to begin the season (zero points and minus-four). Beyond the three regulars, the Blackhawks have a mess on their blue line. Nick Boynton has been a pleasant surprise, averaging 21:12 on the ice and ranking second on the team with 16 blocks despite missing Opening Night because of his suspension. He has fully earned a spot on the roster, but isn’t someone that handles the puck well. Jordan Hendry has been in the doghouse the entire season and has been a regular on the “healthy scratch” part of the roster this year. John Scott has been a trainwreck who doesn’t fit at forward or on the blue line, but has dressed as a forward for the last two games. He’s a big, physical player but doesn’t skate well at all. In fact, carrying Jassen Cullimore on the roster gives the Hawks two redundant players on the blue line. Leddy was averaging 14:16 on ice per game, and was contributing to both special teams units. 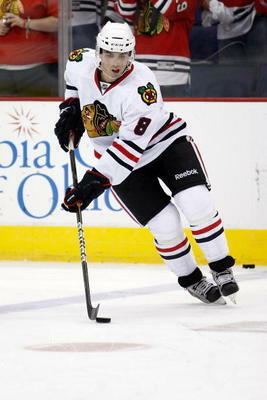 He skates very well and, as his confidence continued to increase, was handling the puck well in traffic. He avoided a hard hit on Saturday night that was a strong indication that he was becoming more aware of the speed at the NHL level, and appeared to be ready to make the step. Until Campbell comes back, Leddy was arguably the second-best puck-handling defenseman on the roster. So why is he headed to Rockford? There are a few aspects to the Leddy demotion that get lost in the emotional reaction to a young, likable player being sent down. First, when the Blackhawks chose not to place Campbell on LTIR, they were handcuffed financially; the Hawks only had roughly $450k under the cap with which to work. When they brought Cullimore to Chicago and carried eight healthy defensemen, they were now a little more than $76k over the cap. Leddy has a cap number of over $1.1M, so sending him down clears some cap space. But there’s more to the demotion than just his cap number. Leddy has played in six games this year. According to the Collective Bargaining Agreement, any 19-year-old on an entry-level contract who does not play in at least 10 NHL games is eligible for his contract to “slide,” or be extended one year. Translation: if Leddy doesn’t play 10 games in the NHL this year, the three-year deal he signed with the Blackhawks this year can become a four-year deal. By sending Leddy down now, he’s experienced life in the NHL but can gain more professional experience in Rockford. 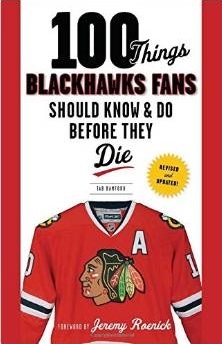 And the Blackhawks can keep him around for an entire additional season. Hendry isn’t good enough to play in the NHL, and his playing time indicates the coaches know that. Scott has been atrocious so far, and his ice time appears to indicate that the coaches are well aware of that reality as well. But, in the greater scheme of things, Blackhawks management saw brief glimpses of what they have in Leddy and would likely prefer to have him under contract as long as possible. The Hawks’ offense is playing exceptionally well right now, and it now appears that the team will try to survive with what they have until Campbell’s back.